Tien Ho has more than 15 years of technology, industrial sales management and executive search experience prior to the founding of Lighthouse Global Resources (LGR) and is responsible for the group’s global operations and partnerships. Tien Ho was also the co-founder of a regional executive search and outsourcing firm heading the Manufacturing, Industrial, IT and Telecommunications practice groups prior to Lighthouse. Tien Ho started his executive search career leading the Technical Operations Recruitment with a US Executive Search firm. Tien Ho has a proven recruitment track record as an individual top performer, successful leader and entrepreneur within executive search. 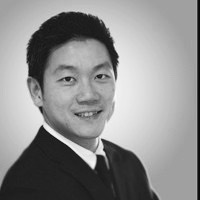 Prior to his search career, Tien Ho was a Global Account Manager with a leading US technology company and was credited with consistently out-performing individual and group sales quota focusing on team selling in addition to direct sales within Asia Pacific. With strong business development efforts and acumen, he made great inroads into global accounts under his purview. Tien Ho holds a Bachelor of Engineering (Electrical) from National University of Singapore. He was a member of IEEE and has a Diploma in Computer Studies.